Avoid common misunderstandings about Colorado workers compensation laws to prevent your valid claim from being denied. 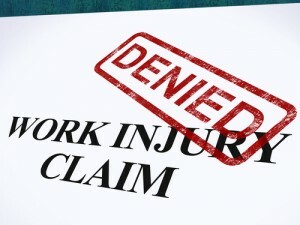 If you have been injured on the job and are thinking of filing a workers compensation claim, it’s important to educate yourself about the process, as well as your legal rights, to ensure that you don’t make a mistake that could cause your claim to be rejected or your benefits to be reduced. During such times, working with a skilled Colorado workers compensation lawyer can be extremely helpful, as these attorneys are highly familiar with workers compensation laws, and they will be advocating for your best interests. The details of how someone is injured are not as important as the fact that the individual was injured on the job – This is entirely untrue. Insurance adjusters for your employer will be interested in all of the details of the injury because they want to try to prove that the injury did not occur while you are working; this is because they are looking out for your employer and their own bottom line. While it will be easier to prove injuries occurred on the job when they result from a specific accident or incident (such as a slip and fall), they will be harder to prove they are the result of injuries that build up over time, such as repetitive stress injuries like carpal tunnel syndrome. Injured workers have plenty of time to inform their supervisor that they were injured while working – This is also false. There is a specific time frame in which injured workers are required to inform their employer in writing of their injuries. In fact, as long as your injury is not life-threatening or will not result in the loss of a limb, injured workers must inform their employer in writing before seeking medical attention. This written notice must also be presented within four days of the alleged injury. Missing this window can result in a progressive loss of the benefits to the injured worker. 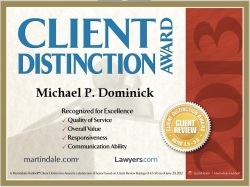 For the best chances of securing the maximum possible workers compensation benefits, contact the experienced Colorado workers compensation lawyers at the Law Office of Michael P. Dominick.